Vinery London, the pop-up Berlin-style 'Honesty' wine bar returns on Friday 27th October, with another visit to The Soho Collective just off Old Compton Street, and this time with a slight Halloween theme! Buy a ticket in advance for £4, then drink as much of the wine as you'd like, and pay what you want (within reason) as you leave. Guests are expected to pay between £20 and £30. Top tip: go early - it opens at 8pm - as some of the most popular wines run out. Vinery London was born when three close friends Charlotte, Claudia and Leeston were drinking a bottle of wine on a cosy autumn evening. We’ve added a new exciting 'Berliner' style take on your classic London wine bar; at Vinery London, you rent a glass and drink some exceptionally tasty wine. Patrons pay how much they think the night is worth depending on how much they drink. It's an honesty bar so it's up to you but the Vinery team can give you an idea of what people normally pay. The event will be hosted at the Soho Collective in Soho. It's on Friday 27th October and will run from 8pm to 12.30am. It's on Moor street just off Old Compton st close to Bodega Negra and above Ed's Easy Diner. It's a 5 minute walk from Tottenham Court Rd station. 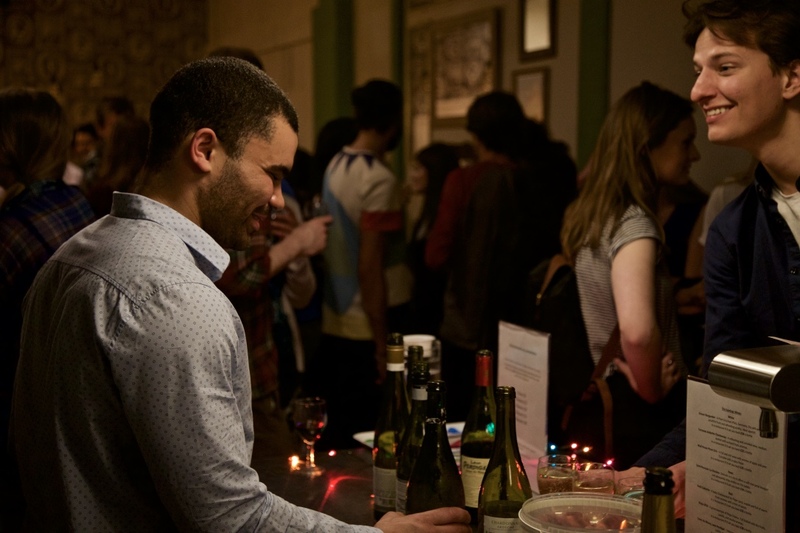 Join us for a glass of wine at London's very first honesty bar! You can expect to find a relaxed atmosphere where you can enjoy some incredible wine without breaking the bank. If you're in the mood you might even learn a little. Check out this link for a bit more info on the concept. As it’s the Halloween weekend we’ll also have an incredibly talented make-up artist on hand for all the wannabe Frankenstein’s and Draculas who attend."